Born in Bouillon, in Luxembourg, on 23rd January 1881, Angelina Drumaux was the daughter of the artist Arthur Drumaux. Drumaux studied at the Academie des Beaux-Arts in Liege and, making her name as a skilled floral artist, she first exhibited in Liege in 1912. 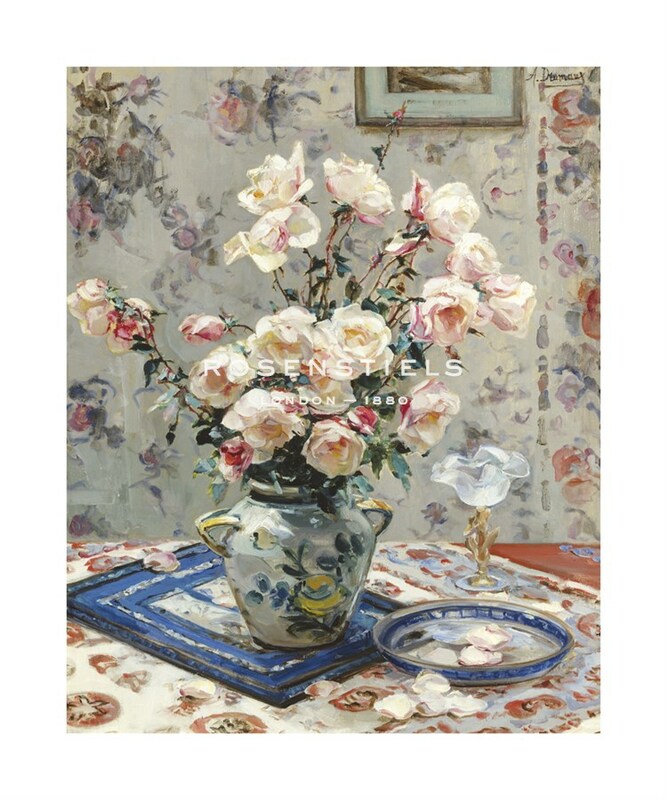 She won the Prix Triennal de Peinture in 1913 and, the same year, took part in the Exposition of Brussels, where she exhibited two subjects, Bouquet de Chrysanthemums and Souvenir. Painting in a style similar to the Post-Impressionists, she then concentrated on depictions of the landscapes of the Ardennes and the South of France but is best known today for her floral and garden compositions, which are now held in museums across Europe. Angelina Drumaux died in Brussels in 1959.